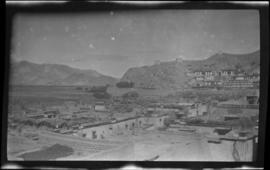 Item is a negative showing a bird's eye view of the village of Gyantse. There are mountains in the background. 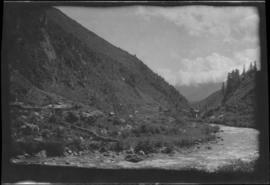 Item is a negative of the mountainous Chumbi Valley. There is a river in the forefront of the image. 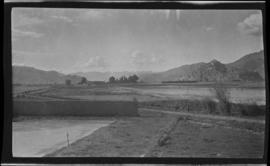 Item is a negative showing a small village in the distance. There are also mountains in the background. 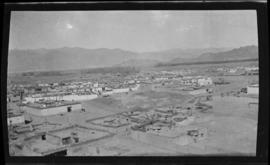 Item is a negative showing Gyantse village. There are mountains in the distance. 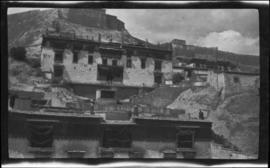 Item is a negative showing several buildings in the village of Gyantse. 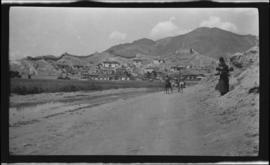 Item is a negative showing Gyantse village. Gyanste Jong can be seen in the background. There are mountains in the distance. 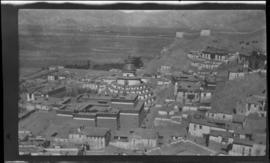 Item is a negative showing Gyantse village from above. The town's monastery is visible in the centre of the image. 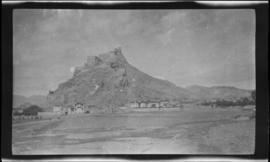 Item is a negative showing Gyanste Jong located at the top of a spur from a distance. 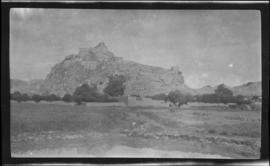 Item is a negative showing Gyanste Jong from a distance. 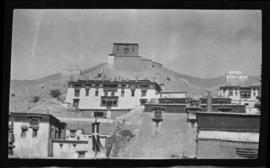 Gyantse is also visible at the bottom lefthand side of the image. 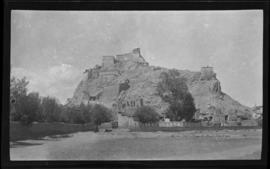 Item is a negative showing a Gyantse Fort, located on the top of a rocky spur. 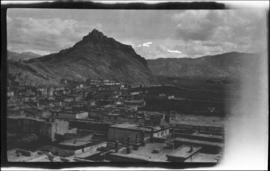 There are smaller buildings at the bottom of the spur. 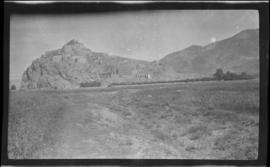 Item is a negative showing Gyanste Jong located at the top of a spur from a distance. 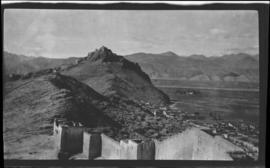 There are several buildings at the bottom of the spur. 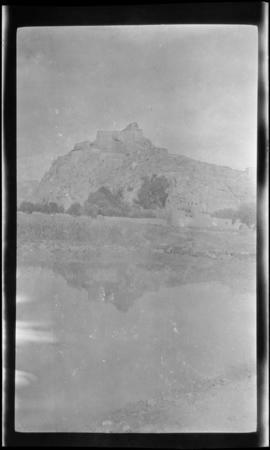 Item is a negative showing Gyanste Jong from a distance. 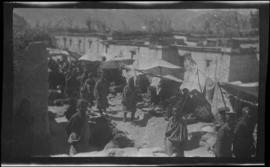 Item is a negative showing a close up of a busy marketplace in Gyantse. 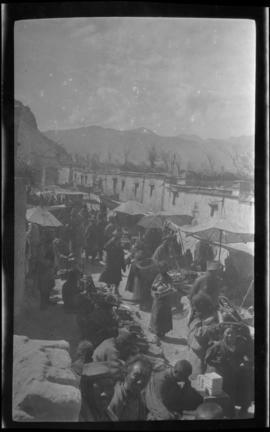 Item is a negative showing a busy marketplace in Gyantse. There are mountains in the background. 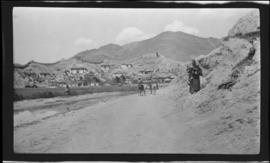 Item is a negative showing a head on look of the village of Gyantse. 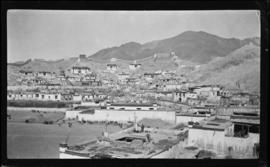 Gompa monastery can be seen in the background. There are mountains in the distance. 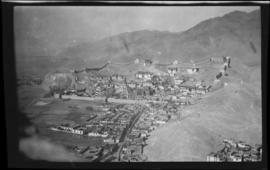 Item is a negative showing a bird's eye view of the village of Gyantse. There are mountains in the distance.